The National Medical Association (NMA) Ophthalmology Section has a long and distinguished history in preventing blindness and combating diseases of the eye. In the first published history of the NMA Ophthalmology Section, it was recounted that the section was established jointly with the otolaryngologists in 1939 when the NMA convened in New York City, electing Chester W. Chinn, the first African American to become a diplomate of the American Board of Ophthalmology, as its chairman. It was created as an independent section from General Surgery and all of the surgical specialties. The Eye, Ear, Nose, and Throat Section was notable in that it became the first autonomous surgical specialty section of the NMA. When the NMA reconvened in Cleveland in 1942, the new section devoted an entire day to a scientific program. Its largest attendance came two years later in St. Louis where seven of the members present were diplomats of either the American Board of Ophthalmology or the American Board of Otolaryngology. The first pre-convention workshop was held in Philadelphia in 1971. One of the most memorable workshops was chaired by the late Maurice F. Rabb, MD, who garnered the participation of eight of the nation’s leading experts on the subject of glaucoma. The success of this effort was so impressive that other sections began pre-convention workshops beginning in 1975. This model of excellence in research and teaching has continued over the years with many cutting-edge workshops, group and case studies and other didactic avenues of medical and surgical excellence with exchanges covering a comprehensive view of ophthalmology. Most practicing ophthalmologists did not have practices that were combined with otolaryngology, and as a result, the section was re-organized as the Ophthalmology Section and the Otolaryngology Section in 1974 with independent sections and programs. In 1975 the first for-credit pre-convention workshop was presented. These events have been venues for some of the most informative and illuminating educational offerings in ophthalmology. Over the years we have seen our membership grow with the addition of members in sub-specialty areas in both private and academic medical practices. We have in our ranks members representing virtually every sub-specialty in ophthalmology, department chairs at major teaching institutions, membership on high level governmental committees, and several college presidents who have distinguished themselves in the published ranks of academic medicine and research. In order to preserve our mission of preventing blindness and eliminating diseases of the eye, in the year 2000 a scientific research program was initiated to allow for medical students, resident physicians, and fellows to present original scientific and compete for awards. Our organization has sustained and nurtured the membership in a collegial and supportive manner over the years and is braced to meet the challenges of the future. The Section holds an Annual Scientific Assembly in conjunction with the National Medical Association, welcoming approximately 100+ physicians. The Rabb-Venable Excellence in Research Program is an integral component of the National Medical Association Ophthalmology Section’s academic mission. 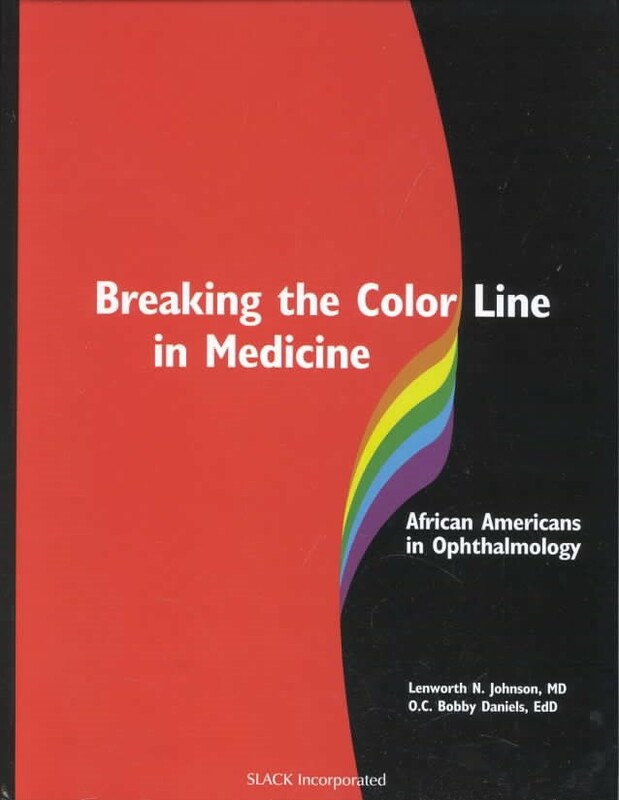 The inaugural program, spearheaded by Dr. Lenworth Johnson during his tenure as chairman of the NMA Ophthalmology Section, occurred in 2000 at the Washington, DC NMA Convention. This new venture began with the generous assistance of Merck and Company (West Point, Pennsylvania). Subsequently, the NMA Ophthalmology Section has received corporate sponsorship from Novartis/Alcon Laboratories, Inc. (Fort Worth, Texas), Allergan Corporation (Irvine, California), and Pfizer/Pharmacia Corporation (Peapack, New Jersey). The Rabb-Venable Excellence in Research Program selects medical students and ophthalmology residents and fellows from our nation’s medical schools and residency programs to present their research at the annual NMA Convention. The projects are selected based on originality, study design, and significance. The research presentation judged to be the best is awarded the Rabb-Venable Excellence in Research Award, in honor of the late Maurice F Rabb and H Phillip Venable, two outstanding African American ophthalmologists dedicated to patient care, teaching, and research. The experience also allows the awardees the opportunity to interact with the members of the NMA in both a professional and social atmosphere. The NMA as a national organization serves membership throughout the United States and the Caribbean. Copyright © 2017 - 2019 National Medical Association, Ophthalmology.